Book Review- Diane Hammond's Hannah's Dream — Always Packed for Adventure! 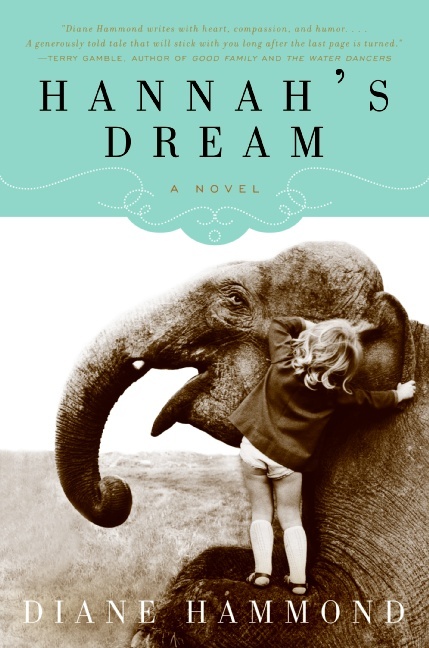 Diane Hammond's novel, Hannah's Dream, can best be described as sweet. Not Saccharine or cloyingly sweet, but more like honey in a hot cup of tea. It very much makes me think of a Hallmark Hall of Fame movie. It's a little cliche, with the good guys and bad guys clearly delineated, has problems that are neatly resolved and characters that learn their lessons in a gentle manner. The book isn't particularly well written, but that doesn't mean that I didn't enjoy it. I don't think that writing comes naturally to Hammond. She often tells what the character is feeling, rather than let the feelings be revealed through actions or dialogue. Everything you need to know about the characters is spelled out in an obvious manner, including their motives. The dialogue is often clunky and unnatural, with unnecessary scenes and conversations that are drawn out. At times, it made for a tedious read. That said, Hammond, is masterful at creating likable characters in situations that pull at the heart strings. It's a very sentimental, tear jerking read. Hammond strikes a good balance, as I never felt like the emotions that she was trying to elicit from me were forced. The story is just so darn sweet, that it's easy to forgive it's sentimentality and flaws. This is a great read for animal lovers, as the story centers around an aging elephant named Hannah and the humans that love her and are struggling to make her life better. In addition to being an author, Hammond was a media liaison for Keiko, the killer whale make famous by the Free Willy movies. Hammond's love and interest in animals is clear from reading this story and is probably a huge factor in what made it a compelling read.